ClearView Home Inspection - Illusive Design Inc.
Clearview Home & Property Inspections has been awarded the title of best home inspection company in Toronto. It is the only Toronto inspection company to receive this honor for the last three consecutive years. CVHI.ca acts as the online representation is wrapped up in a highly quality WordPress customized website design. When this came across the desk of Illusive Design, we saw this as an opportunity to assist a company whose website simply was not working for them. 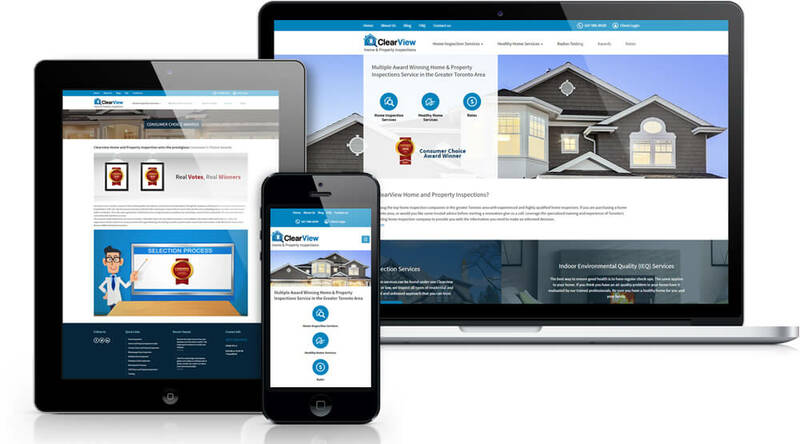 Through a successful revamping of their website design, ClearView saw a WordPress customized interface that translated to a significant increase in their site traffic and a search engine optimization strategy that brought them from Page 5 to Page 1 in Google search engine rankings. The WordPress revamping allowed for accessible analytical reports showcasing site data that was easily retrievable by the admin. This means that the staff at CVHI.ca can view the success of their website as it happens. This monitoring is integral on a regular basis to ensure that the strategies used are remaining effective with your target audience. CVHI.ca prominently featured blog pages, articles, and search engine optimized content which allowed for easy retrievable from the Google search engine. Through an integrated marketing strategy combining search engine optimization and high quality relevant content, we can transform a brand and grow a business within a matter of months. 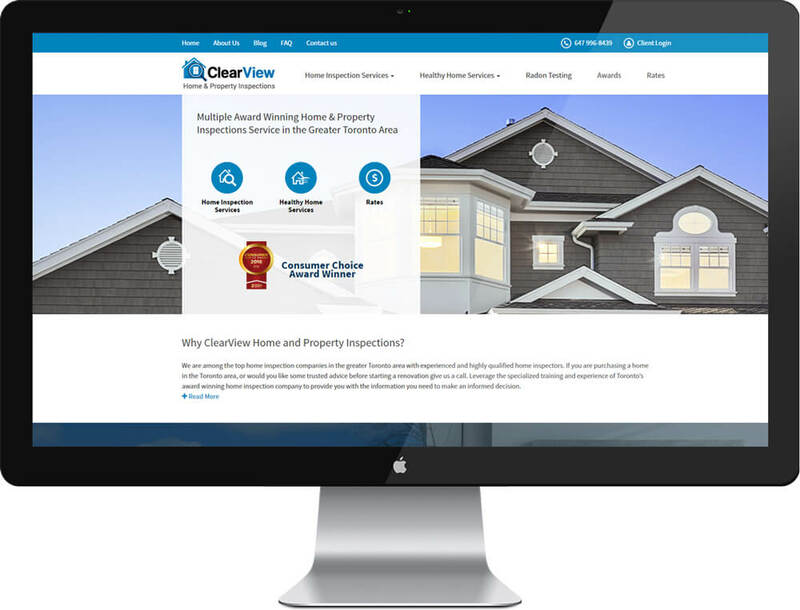 ClearView Home & Property Inspections already knew their audience and they knew who they were trying to reach online – they simply didn’t know how to reach them. Through a newly designed website, we were able to feature content-based pages that provided information of their services, training, and rates in a straightforward manner that communicated what they needed to communicate with their visitors. The WordPress custom website design ensured that the information was emphasized in a content-friendly interface allowing for a visitor to easily retrieve the info they needed. 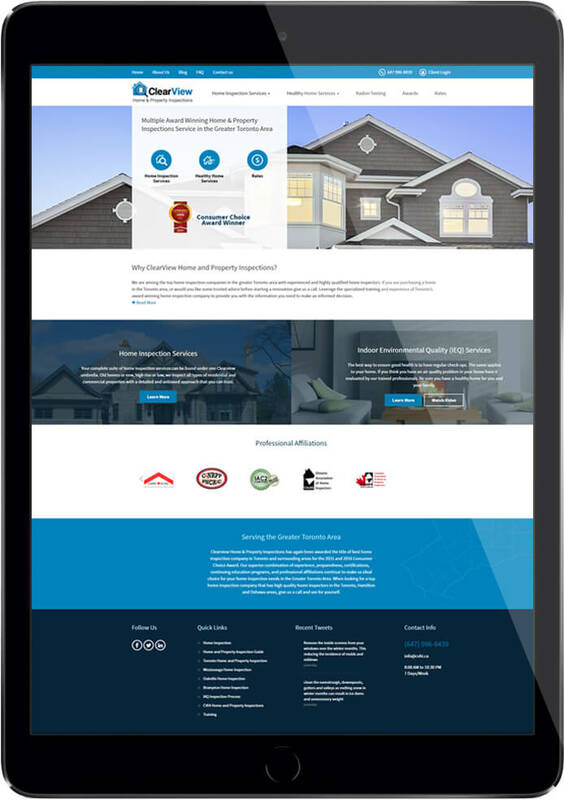 Illusive Design’s team of associates were able to create an effective site design and digital marketing strategy that saw an increase in website traffic by over 250%. 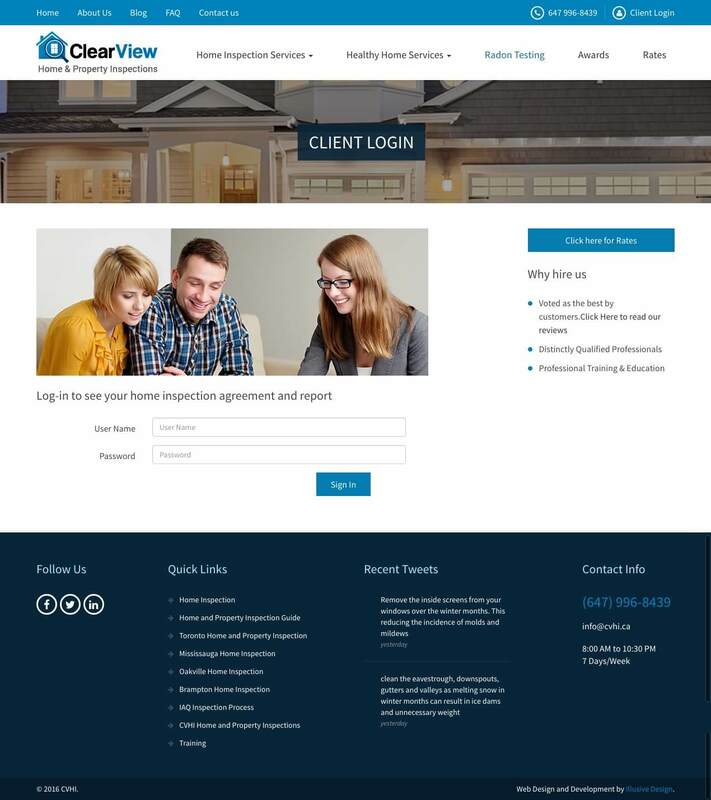 In addition, the ClearView website moved from Page 5 of Google search engine results to Page 1 within a time span of three months. These are the results that a revamp can afford you. Using highly refined processes to help build your audience, every day we put in our absolute best to help our customers grow their businesses – the results speak for themselves.